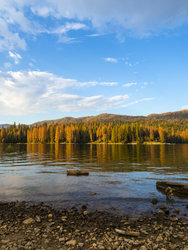 We are a hotel near Bass Lake that provides scenic accommodations and resort-like amenities for travelers of all ages and heading in all directions. Bass Lake, a smaller, more serene version of Lake Tahoe, is only a few miles from Oakhurst. This alpine lake has a lower elevation—at only 3,400 feet—which means its freshwaters warm to 75 degrees in the summer. In winter, the lake and surrounding area are blanketed with snow, creating a serene snowy wonderland. Bass Lake is a cottage community, which means that it’s set up for visitor’s year round. 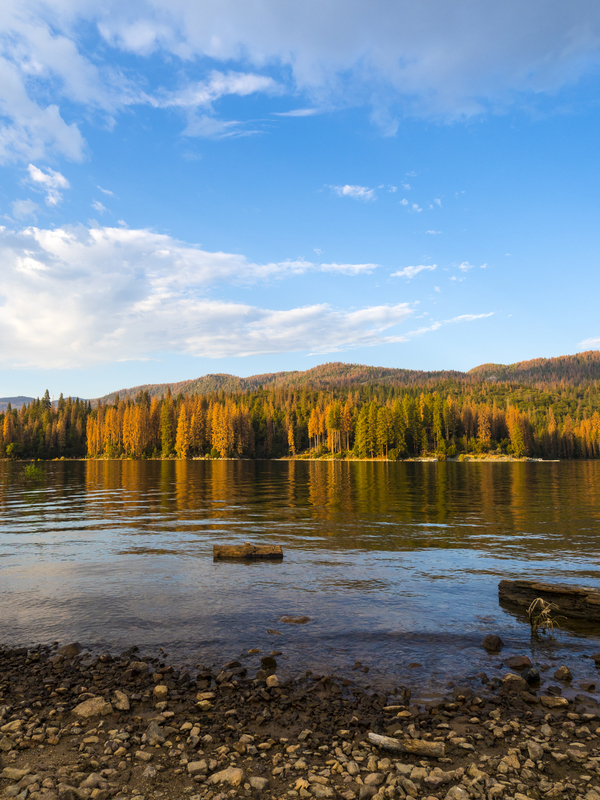 Hike, bike, fish, dine, and so much more around this beautiful pine-lined lake just 30 miles from Yosemite and a few miles from Best Western Plus Yosemite Gateway Inn. Stop at Bass Lake for the perfect summer day. Near the northern edge of the lake, which is the side of Bass Lake closest to our hotel, is a recreation area for swimming and picnicking. You can also rent a boat for the day at Bass Lake Boat Rental and explore the lake at your own speed, finding your own coves, and swimming off the boat! Goat Mountain Trail is 8 miles long, and good for all skill levels. This trail takes you up to the top of Goat Mountain, with a scenic look out over the lake and forest. The more challenging Willow Creek Trail will take you around two waterfalls, Angel Falls and Devils Slide. 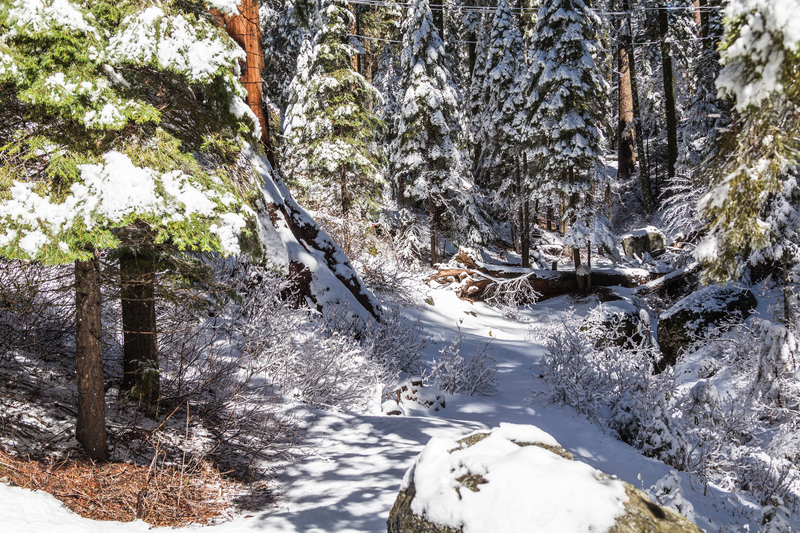 With its abundance of towering pines, Bass Lake becomes a true winter wonderland when it snows. The Sierra Highlands receive a decent amount of snow, so coming here in winter will truly feel like escaping to the North Pole. If you’re visiting Yosemite during the winter, it’s important to note that driving conditions can be challenging, and some roads have chain requirements. Visit Bass Lake in winter to hike the trails without the crowds. For an easier time, you can rent snowshoes to explore the snow-blanketed woods. 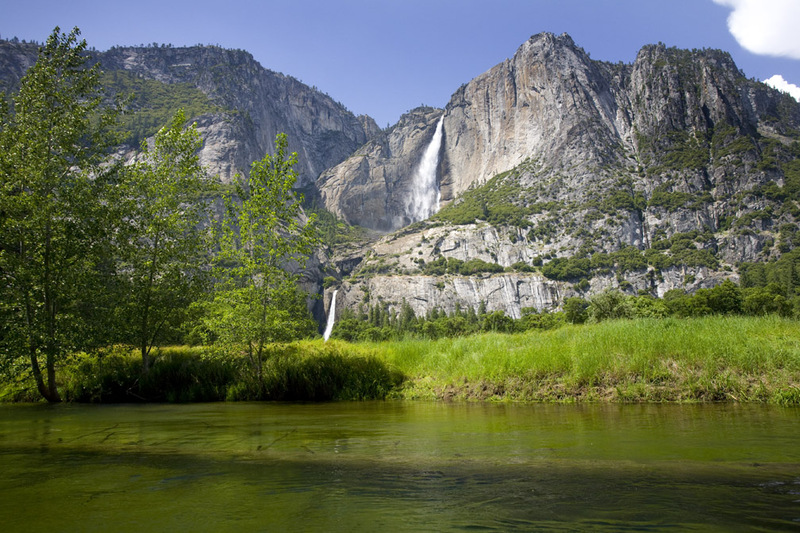 No matter what time of year, our hotel near Bass Lake is the perfect home base for exploring all the wild beauty that Yosemite and the Sierra Highlands have to offer. Dive into this lake in Sierra National Forest just a few miles away. With its high elevation and relatively shallow waters, the bright blue waters are warm all summer long. If it’s too hot, enjoy the shade of the towering pines that line the lake. In addition to public swimming, you can hire a fishing charter, go water skiing, or wakeboarding. Head out from the lake and hike Willow Creek Trail, passing by waterfalls and wildlife along the way.